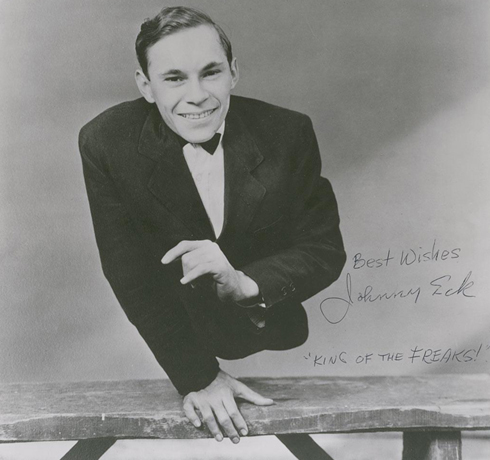 John Eckhardt Jr, known simply as Johnny Eck, and his twin brother Robert were born on the 27th of August, 1911 in Baltimore, Maryland. Unlike his fully formed brother, Johnny was born with sacral agenesis, a congenital disorder in which there is abnormal foetal development of the lower spine, which resulted in a truncated torso. Eck would often describe himself as being “snapped off at the waist”, but he did in fact have underdeveloped, unusable legs and feet which he would hide under custom-made clothing. 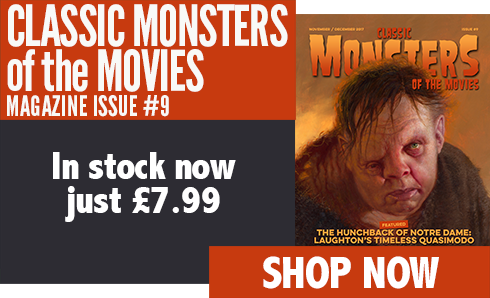 As an adult, he measured just eighteen inches at his tallest. 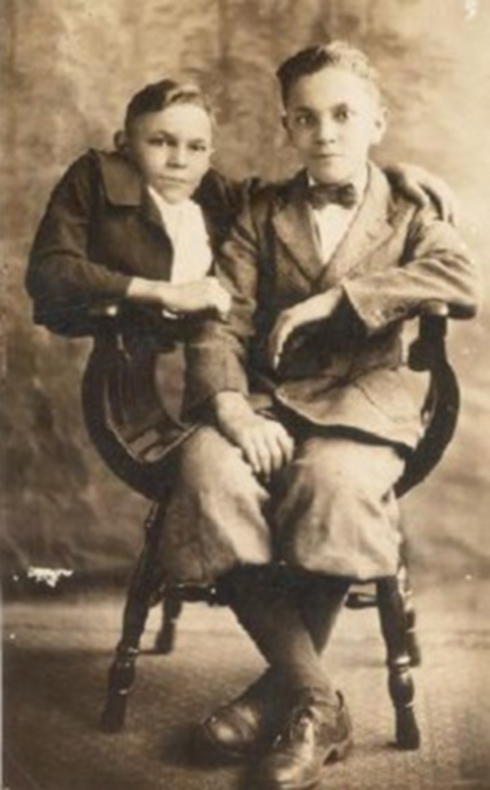 The young Johnny Eck was a precocious child, able to walk on his hands at the age of one, long before his brother was even standing. He also became something of a craftsman, acquiring and honing exceptional skills as an artist, photographer, illusionist, Punch and Judy operator and his particular forte, model-making. But the clerical plans ended abruptly when Eck, aged 12, bounded on his hands onto John McAslan’s stage show in 1923, avidly volunteering to take part in the act. Astounded, McAslan persuaded him to join his sideshow under his management and, under the proviso that Robert was accepted too to look after Johnny, the boys’ parents signed a one year contract, although Eck would later claim that the unscrupulous magician changed the term to ten years by slyly adding a zero. Notwithstanding this fraudulent sleight of hand, the boys left McAslan after a twelvemonth anyway, signing up with Captain John Sheesley where, although Johnny was ostensibly billed as a single-o (a sideshow solo act), he would often perform alongside Robert to accentuate his abnormal physique. During his time with the various carnies, Eck became an astute acrobat, usually appearing in a tuxedo performing his trademark one armed handstand. Bigger names beckoned, and it was not long before he was working with Ringling Brothers and Barnum and Bailey, a happenstance which took him to the 1931 Canadian Expo at Montreal where he was spotted by an MGM talent scout who approached him with the role of the ‘Half-Boy’ in Tod Browning’s forthcoming production of Freaks (1932). 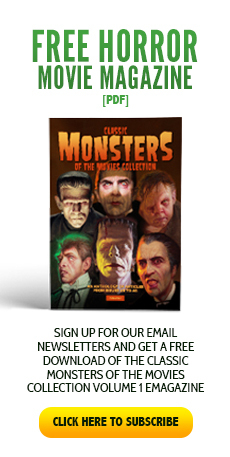 Browning planned to cast Eck, along with Robert, in a follow up film where he would play a mad scientist’s creation, but the public and studio outrage over Freaks damaged the director’s career severely, and it was some years before he would be given any kind of autonomy over productions. 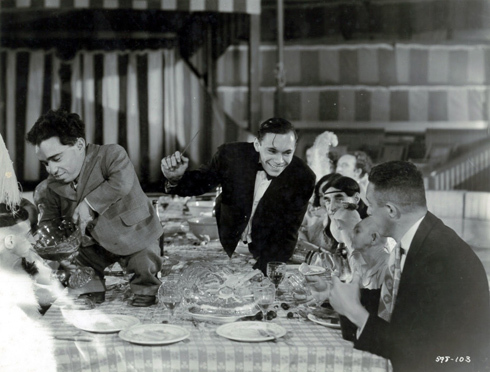 Eck, although generally pleased with Freaks, lamented the harsh use of the censor’s scissors, which left a large chunk of his performance on the cutting room floor. In 1937, the twins began working for the illusionist and hypnotist Rajah Raboid, with whom they would go on to create one of their most famous routines. Devising a twist on the man sawn in half illusion, Robert would play the ‘straight’ volunteer who, once apparently ‘sawn asunder’ would be replaced by Johnny at the top half and a dwarf as the bottom half, with the former running around the stage screaming “Come back! I want my legs back!”. The trick was theatrical perfection, at first shocking the audience and then reducing them into fits of laughter, and successfully toured the East Coast to packed houses. In addition to the show business life, Eck took time out to pursue his other interests and passions. Both keen musicians, he and Robert headed up their own twelve-piece orchestra in Baltimore, with Johnny conducting while Robert played the piano. He also threw himself into his love of drawing and painting, and raced his own custom-built roadster, named the ‘Johnny Eck Special’. In 1938, he climbed the Washington Monument on his hands. As sideshows became more un-PC, the brothers repaired to their family home at 622 North Milton Avenue, in the East-side, working-class section of Baltimore. It would be where they would live for the rest of their lives, and the pair invested in a penny arcade, which they ran successfully together until a business tax forced them to close in 1950. Later, they bought and operated a children’s train ride in a local park where Johnny became a firm favourite as conductor; he was a much-loved local celebrity, and could often be found sitting on the steps of his porch, Chihuahua Major at his side, telling stories of his life and adventures. 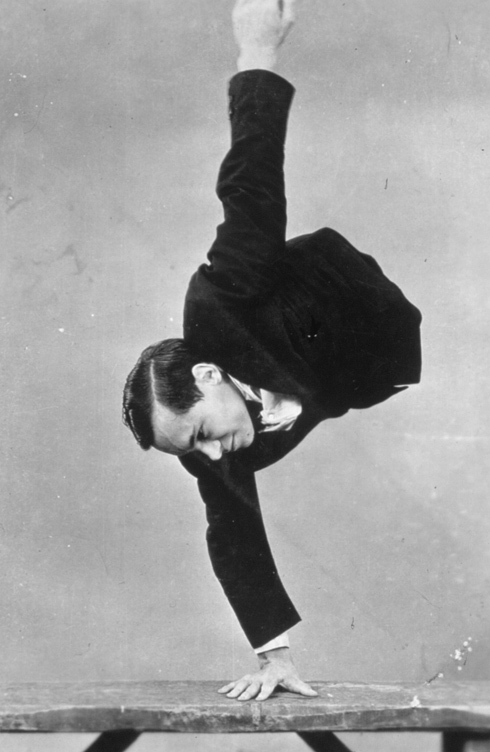 Johnny Eck suffered a fatal heart attack in his sleep on the 5th of January, 1991, dying at the age of 79 in the home where he was born. 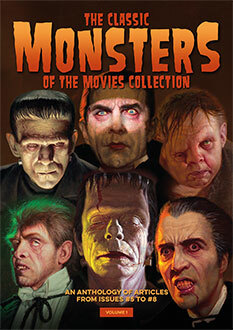 Robert survived him by four years, passing away on the 25th of February, 1995, aged 83. The two brothers are buried under one headstone in the Green Mount Cemetery in Baltimore. What a wonderful man! I wish I could’ve met him. I adore his part in “Freaks” and the film shows what a charismatic actor he was. He should’ve had a lead role. Such a great story in a time when disabled people were sent to institutions. His family seemed to be very ahead of there time in how they raised him. During the 60s and 70s, Mr Johnny lived up the street form my family on Milton Ave. As a kid I would sit with him on the stoop and talk. Occasionally he scooted with me to the corner store. Mr. Johnny was a funny guy. I loved his grin. Wow am so glad he is still remembered. He certainly lives on in my memory. Wow insightful! !but what kind of scumbags would do that to a guy with that kind of of physical disability. Great story! 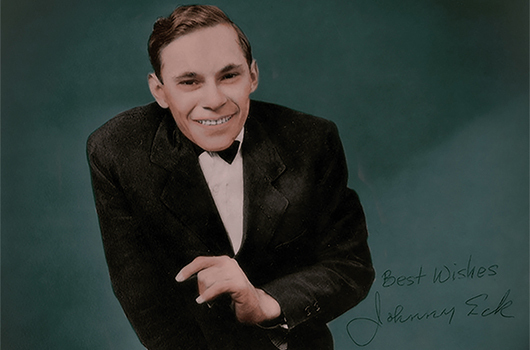 Up until about 1966-67 I lived in the same neighborhood that Johnny Eck lived in. I had no idea who he was at that time… But, he would sit out on his steps & I would always say “Hi” when I walked by. Unfortunately, I never got to know him…. What a Man!! This is the best description that I have seen about Johnny Eck. He was certainely a fine example of living with hardships! !